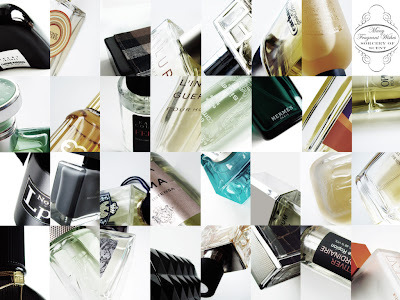 Today I spent a little time photographing some of my colognes. I don't consider myself a professional photographer by any stretch of the imagination, however I had a lot of fun with it. As a result, I'm sharing some of the results with you in the form of a downloadable desktop. I wonder how many you can identify. Just click on the smaller picture above, and then click and drag or 'save' the larger version to your desktop. Screen size 1024 x 768. Could there ever be any doubt, Andy? I'm enjoying your writing very much, thank you for sharing. I'm not good at all picking out notes in scents and thus I'm always glad when you write about them!